Man has been trying to harness the power of the wind since he started living in towns and cities and became civilised. As long ago as 5000 BC wind was already being used to power ships along the Nile and a few thousand years later the Emperor of Babylon was attempting to run his palace irrigation system with it. By 600 BC the innovative Persians were employing wind power to drive rudimentary devices to pump water and grind down valuable grain. The first panemone windmills to be discovered by archaeologists date back to 500 AD and were sales arranged around a central, vertical column. They were often used more as decorative features, particularly in China and Asia, rather than as renewable power sources but by the 12th Century Europeans were beginning to build and develop mills for working grain and moving water. Some of the earliest mills in the UK are to be found at Weedley in Yorkshire and can be dated back to 1185. 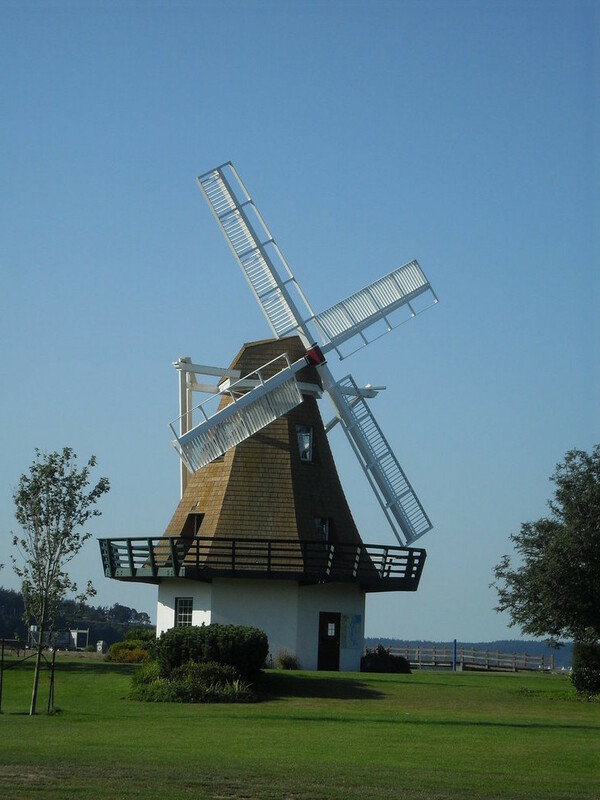 The Dutch are, of course, synonymous with windmills and by the 14th Century they were using it for large projects such as draining the Rhine delta, a testimony to man’s growing ingenuity and desire to manipulate the world around him. For the next few hundred years, windmills proliferated, many being used for farming purposes or drawing water from places like artesian wells. It wasn’t until the end of the 19th Century that scientists and inventors began to look at wind power as a possible source for electricity and the impetus for that was much closer to home, in Scotland. Professor James Blyth was a Scottish engineer who worked at Anderson’s College in the heart of Glasgow in 1887. 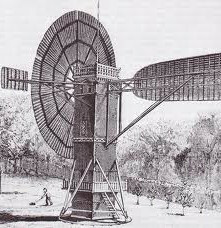 Using accumulators developed by Frenchman Camille Faure, Blyth set up a number of wind sales in his back garden to power the lights in his cottage. At the time, after the initial success, he offered to power the surround houses but was turned down as his neighbours thought it was the Devil’s work. Blyth went on to supply the power for a local asylum but the idea of a wind turbine for electricity production did not catch on at the time. At the same time, we Americans were developing things that were bigger – a turbine with a 50ft wingspan that turned slowly but was enough to power the lights in the inventor’s laboratory. A few years later, it fell into disuse, superseded by large power stations that could provide the electricity more cheaply. MW of power. This development continued well into the 20th Century whilst others were cultivating a growing dependence upon fossil fuels for their energy needs. Many remote places like farms in the US did begin to use wind turbines for power in the early part of the 20th Century, but it was still not being considered as a viable method to provide power for towns and cities across the world. The big change for wind turbine power came with the fuel crisis of the early 70s when governments were forced to consider other, more sustainable and efficient sources of energy. A lot of the development in this stage came from the US with a NASA based research program that was designed to find a utility scale energy resource. By the 1980s, governments were getting involved in trying to promote cleaner energy sources with the State of California offering tax rebates for wind power. We are probably used to it now – driving along a country road and seeing a host of wind turbines turning slowly, producing valuable electricity, on farms and ranches, sometimes hidden in the sea mist offshore. With concern rising over the development of clean energies and, just as importantly, the onus of creating energy security, wind farm development has moved on at a pace in the last 20 years, particularly in the US where there are plenty of resources avaiable. At the end of 2015 there was over 75,000 MW of capacity in the United States, making it one of the largest producers in the world, only second to China. The largest single wind farm in the world however is currently located near London and provides 630 MW of power to the surrounding area. Whilst it has its detractors in some states, wind turbines are one of the most important sources of renewable energy being developed for our future energy needs of the USA. There are some who say that it is not efficient enough or that ugly collections of wind turbines spoil the landscape. That hasn’t stop the development work with researchers and inventors seeking out new ways to make the wind turbine more effective and to provide a greater portion of our daily energy needs. There’s no doubt that our growing desire to produce more sustainable energy has caused a resurgence in the wind power industry. Something that remained static in its vision for much of the last century has begun to bloom again, with new ideas and innovative thinking taking the lead.